These sweet thangs will be ready just in time for our Dollars & Dignity Tour starting in May 2017! Be sure to either order your set online or grab some picks on the road from us while we’re in your town. 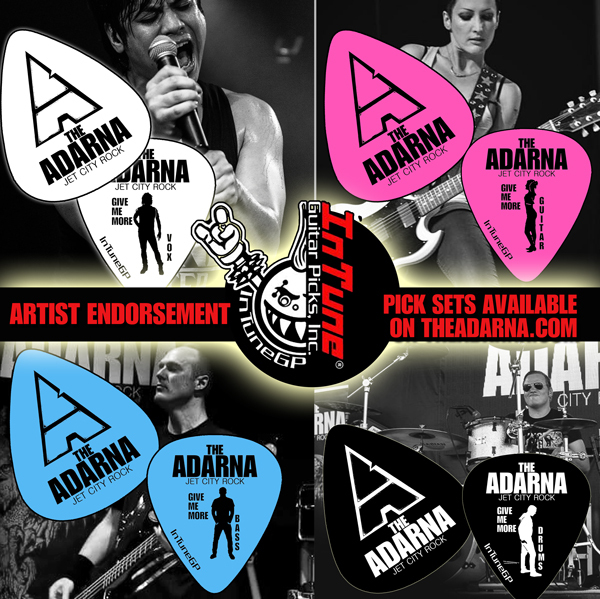 theadarna.com/tour-dates And now you’re one pick closer to your ultimate guitar pick collection!